Counting out their coins, Kadin Deano and Sara Kennedy are buying a real Christmas tree for the first time. They pick out a short, stocky sapling that barely reaches Deano’s chin. “Tiny tree, tiny apartment,” Deano jokes. 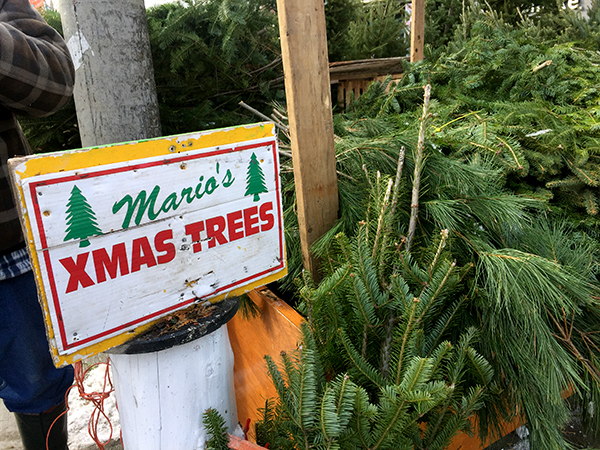 It’s the first day of the season to buy a tree in the Byward Market. Chunks of snow and ice hang off the branches of Balsam and Fraser fir trees lined up on York Street. The tradition of decorating a fresh-cut Christmas tree continues to attract customers. 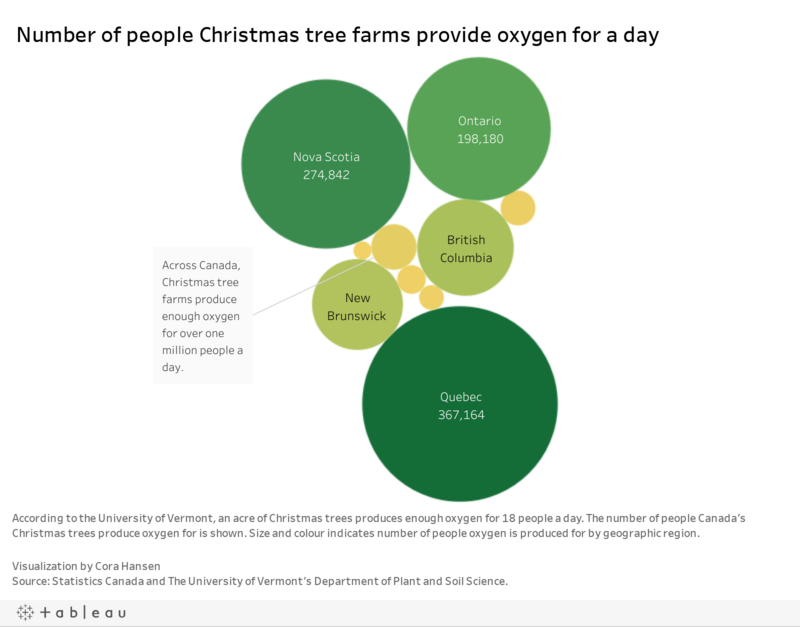 According to Statistics Canada, the industry generated $77 million worth of trees last year, a number “that has been going up gradually, about 20 per cent over the last five years,” according to Shirley Brennan, executive director of both the Canadian Christmas Tree Growers Association and the Christmas Tree Farmers of Ontario. One reason real trees remain popular may be increased environmental awareness. Deano and Kennedy, for example, opted for a real tree, rather than artificial, because they say it’s more environmentally friendly. “It’s not plastic, so it’s not going to be thrown away and go into a landfill. We can just decompose [it] naturally,” says Deano. “We are not damaging the forest because we are a Christmas tree farm, so reforestation is not an issue with us and we are not hindering the country’s forest by any means,” says Brennan. In addition, leftover trees are donated to be used as decorations by the National Capital Commission or for Winterlude. The City of Ottawa also collects trees from the curb weekly in January, where they will be repurposed as decorations or brought to Renewi, an organics processor. Marilyn Jeouneaux, director of solid waste service at the City of Ottawa, explained in an email to Capital Current that the trees are ultimately chipped and composted. Back in the market, sawdust, dirt and tree needles litter the concrete, and pedestrians pause to inspect a row of trees and ask about prices. 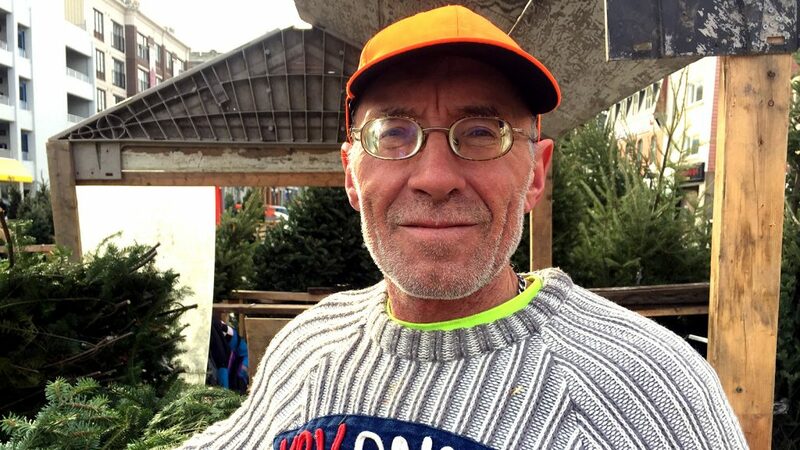 “Today is just the beginning, but in December, it will be crazy,” says vendor Mario Cleroux, who has been selling Christmas trees for 25 years. Besides wanting to avoid plastic, many shoppers want to support local businesses and they want to know where products come from. “In the old times, it was just wild trees,” says Cleroux. But in his long history as a Christmas tree vendor, he has always sold trees from a local supplier Mageau’s Tree Farm. 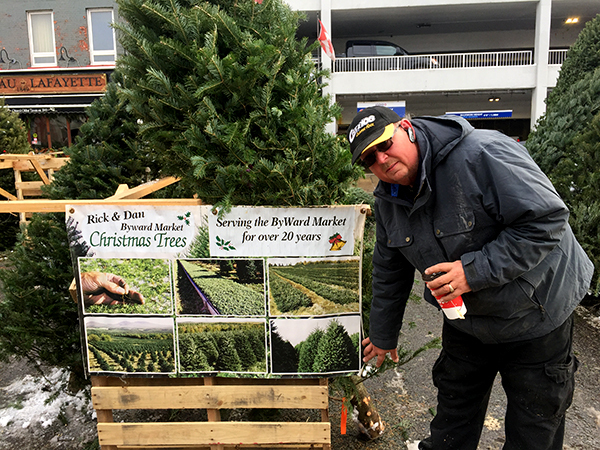 Dan Barnabé, who has been selling trees for 32 years, says it’s the smell that draws many customers in. “They are smelling the Balsam,” he says. Customers shell out between $25 and $200 fa tree, depending on size and species. With each sale, vendors tie the tree’s branches together and give the trunk a fresh cut so that it can quickly soak up water. Christmas trees take an average of eight to 10 years to grow, says Brennan. Between now and Christmas, these vendors will average 12 hour days, says Barnabé. “My wife knows that at this time of year, I don’t exist,” he laughs. “You gotta hustle,” Cleroux says. Most of Cleroux’s customers are middle aged, or young people with kids,. Many have been returning for years. Melanie Brennan came with her mother and daughter because it’s a family tradition and because buying local is important to them. “These people here bring us back every year. Part of it is supporting our own,” she says. For Paula Richardson, it’s all about “the smell. And Santa does tell us: go down to the market,” she says. Sources: Interview with Shirley Brennan, executive director of the Canadian Christmas Tree Growers, and Today’s Homeowner.